Thirteen thoughts from perfumers around the globe. Each perfumer profiled at Perfume Polytechnic has been presented with the same set of thirteen questions that probe into scent memories, imagination, education, history, the creative process and philosophy. How each perfumer answers these questions, and what form the answers take, is up to them. Tune in each week for a new instalment to learn more about the olfactory arts and how perfumers think about smell. Today’s interview with Yosh Han of YOSH perfumes is the fourth in Series Three of Thirteen Thoughts: Perfumer Interview Series. There are five, weekly instalments in this series. 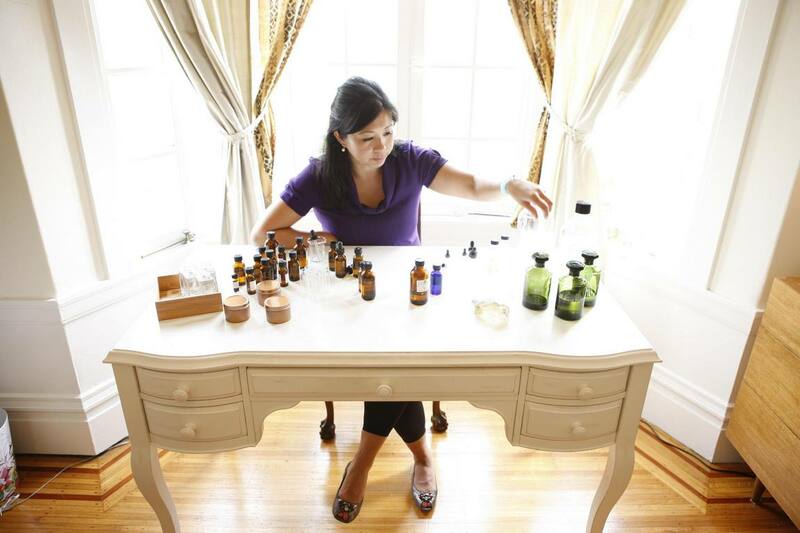 Last week, I interviewed Dawn Spencer Hurwitz of DSH Perfumes. Prior to that, Josh Meyer of Imaginary Authors answered the thirteen questions. In week one, I interviewed Dana El Masri of Parfums Jazmin Saraï. Next week I will conclude the third series of Thirteen Thoughts by interviewing Hiram Green. You can catch up with Series One of Thirteen Thoughts here, featuring interviews with Emma Leah, Mark Evans, Angelo Orazio Pregoni, Paul Kiler and Sarah McCartney. For Series Two of Thirteen Thoughts, I interviewed Mandy Aftel, Ellen Covey, Shelley Waddington, Andy Tauer and JoAnne Bassett. You can read those interviews here. Tell us about a significant olfactory memory from your childhood. When we were growing up, our family would take summer holidays across the country in an RV. One particular summer, when I was about 12 or 13, we drove across from California through Arizona, New Mexico and up through Wyoming and into Canada. It was such an epic summer. I remember the smells of the Great Outdoors and how each scene was vastly different. Carlsbad Caverns in New Mexico have a wet earthen smell from minerals in the cave walls. I also remember the smell of the sulphur geysers at Yellowstone National Park. We ended up at Niagara Falls, Toronto, Canada. The impact was just enormous. The velocity of the waterfall is truly remarkable and the scent of the falls, forest and fresh air is amazing. What is your “origin story”? When, why and how did you decide to become a perfumer? The Chinese character for my name means fragrant. One could say it was destiny. Do you have any formal training in perfumery, or are you self-taught? Have there been any mentors or other personal or cultural influences on your work as a perfumer? Straddling East-West will forever be a theme for me. There are so many nuances from my diverse cultural background that I try to bring into my professional work, yet it’s very subtle. My Asian programming is based on not being direct but that is in high-contrast with the very direct Americanness of how I’ve been educated in the school system and work place. I think this shows through in the way I create and blend perfumes. All my perfumes have clearly defined edges yet the trajectory unfolds in a less direct manner. One could say, it’s my signature. Who are your favourite perfumers or perfume houses, and what do you like about their work? 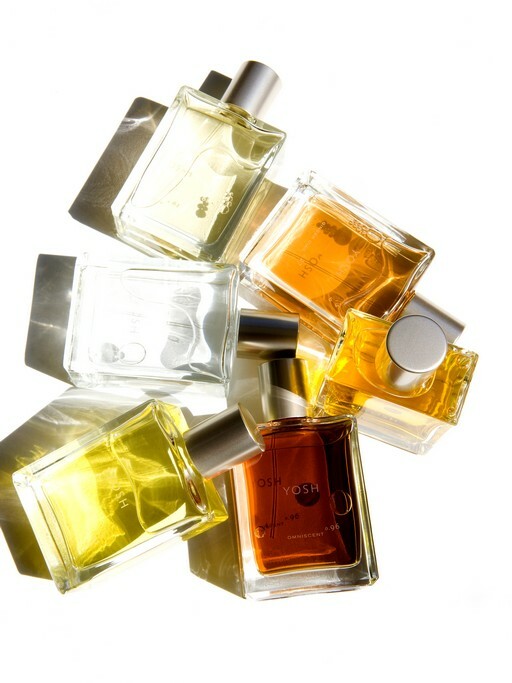 I have so many friends who are perfumers – it’s hard to say! I am drawn towards the conceptual indie artists more than commercial perfumes for sure. I’m a sucker for great packaging but I draw the line when something is over branded. Describe your brand to us: tell us about the kind(s) of perfume that you make, as well as your brand’s philosophy or ethos. I practice vibrational perfumery. Each of my perfumes has an energetic component to them because I design using scent resonance. I don’t only focus on the olfactive but also on how scents work together synergistically to produce a specific effect spiritually. I try to teach my students how to feel when a fragrance formula is complete. Many people design their formulas from a cerebral place but for me, it’s truly about feeling the vibe of a particular scent – if one learns to listen to the raw materials, one can learn to hear the compositions rather than figuring out a mathematical equation. Of course, one has to understand chemistry, but blending intuitively is very important to me. How do you come up with the idea for a new perfume? For example, do ideas come to you spontaneously, do you work conceptually, or do you try to fill gaps in your range? Inspiration comes randomly – emotions, flavor pairings, events, traveling, reading, conversations, ingredients, art, music, textures and collaborations. Sometimes, I have an idea for a perfume that I might mull over for months or sometimes years and they might be blended but not bottled up for commerce. I tend to work in themes so if I decide to produce something commercially, I will work on the blend, packaging and marketing simultaneously and edit and adjust until it feels right. What element of your perfume making process do you think readers of this blog would be interested or surprised to learn about? I originally blended everything by hand when I first started my business. I still do the concepting and aromatic sketches by hand. In the last few years, I started working with Robertet and their in-house perfumer, Olivia Jan. For the last three launches, we worked collaboratively and won a Golden Pear award from the Institute of Arts and Olfaction for my men’s fragrance, König, a scent inspired by the Bavarian forest. We worked on three subsequent fragrances that will launch in 2016. I feel like the film director and she, the cinematographer. It is a very close relationship that is really rewarding. What are the current challenges you face as a perfumer, both creatively and in regard to manufacturing, distributing and marketing your perfume? I abhor all the regulations. I understand the need for them, but it is stifling as a creative entrepreneur. I think retailing has become really boring and impersonal. I can appreciate an efficient check-out experience both on-line and brick-and-mortar, but I really envision Perfume as Art and hope to see more gallery or showroom settings where people can relax and enjoy perfumes as aromatic narratives rather than mere commodities. How has your work as a perfumer affected your perception of everyday smells? I love expanding my repertoire of smells – my library of odors. It is important to me, culturally, to have a wide range of odors that come from various parts of the world. I enjoy learning about new scents – whether natural or synthetic. However, I do not like, when I meet a new person who upon learning my profession, sticks a body part in my face. I find this to be an occupational hazard that while it does not happen daily, happens too frequently! Many ingredients that are edible are also used in fragrance (chocolate, vanilla, coffee and rose, to name a few). If you could reverse this process and turn any perfume ingredient into an edible ingredient, what would that be? Which fragrance ingredient do you think would taste nice as a flavour? What I think is more challenging to communicate in scent is the ability to convey textures, whereas in flavors, that’s much easier. I would like for example, whipped cream textures to be more available in perfumery. I am working on a second umami scent right now and that seems to be more challenging to express in perfumery. That might have to do more with the fact that consumers are tuned into wanting sweet, floral smells, but I hope to change that. I love savory, salty flavors and I would like to offer that more as a perfume category. If you had a time machine, which historical period in perfumery would you like to go back to and work in as a perfumer? I would love to go back in time to the Edo Period in Japan when the Imperial Geishas were versed in various arts. I would love to be one of the eccentric artists working with incense, beauty products and perfumes. What an amazing time period when the high arts were valued and appreciated. It was also a highly competitive, politically charged climate amongst the women so many of the formulations were kept secret. I am particularly fascinated by the game of Listening to Incense where one would burn incense, ask a question and play back and forth. Much of the Japanese language is subtle and nuanced and so one would have to be an astute poet to play the game well. The fragrance scent game is also featured prominently in court during the Heian period so I would love to go back and be there too. It has been chronicled in The Tale of Genji by Tosa Mitsuoki. I love burning Japanese incense and particularly agarwood chips and feel like I am in a time machine when I burn it. It’s so narcotic and mesmerizing! If you could invent a new olfactory gadget, tool or technology, what would it be and how would it benefit perfumers and/or society? I would love to invent a way to magnify odors: like glasses, binoculars or telescopes, but for the nose. It could even be like a hearing aid or listening device where one might be able to turn up or down the volume of aromas. I would not necessarily want olfactory bionic powers all the time, but rather, the ability to increase olfactory capabilities in specific situations. It would really benefit those who lose their sense of smell as they age or those who lose their sense of smell due to an accident or surgery. I think the ability to turn down smells could potentially be interesting in urban environments as well. People are so sensitive now to odors in public spaces that it would be amazing to have that ability to just shut out displeasing odors. As I write – on the plane – I am interrupted by the scent of nail polish, and to my chagrin, the woman behind me was in fact, painting her nails as if she were in the privacy of her own home! What is the purpose of perfume? Sensuality, inspiration and enjoyment. We still need olfaction to ascertain danger especially when something intuitively smells fishy but perfume is an elevated art and should be enjoyed as such. I hope you’ve enjoyed the fourth interview in this third series of Thirteen Thoughts and reading Yosh Han’s answers. My heartfelt thanks go out to Yosh for taking time out of her busy schedule to conduct an interview with me for Thirteen Thoughts. I find Yosh’s intuitive, vibrational approach to creating perfume really interesting and unusual, and her ideas about textural perfume are so fascinating! Japan is one of my favourite places, so learning about the importance of scent in culture in the Edo and Heian periods has been interesting to me too, and is something I want to explore further. 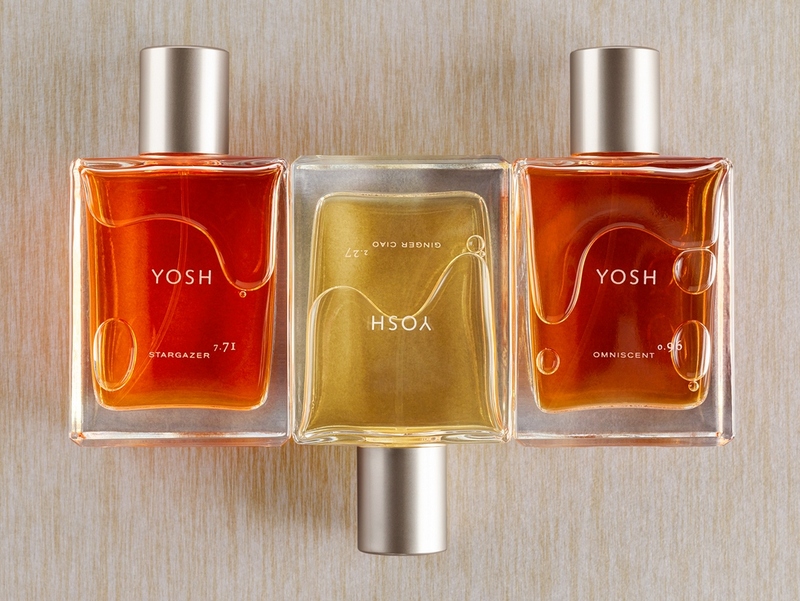 If you’d like to find out more about Yosh and her fragrances, visit the YOSH perfumes website. Yosh has some really interesting information on her website, so you can learn more about her practice and the ideas behind her perfumes there. 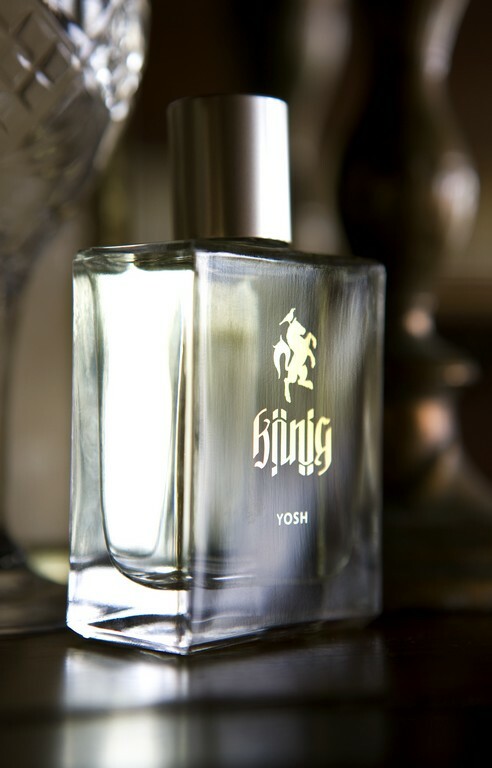 YOSH perfumes are stocked at various retailers: online, in the US and around the world. You can also find information about these retailers on her website. YOSH perfumes are listed at Fragrantica and Basenotes. Stay tuned to see how perfumer Hiram Green answers the thirteen questions in Thirteen Thoughts, a Perfumer Interview Series. Follow the blog here or over at Facebook so that you don’t miss out! All interview answers and photographs were provided courtesy of the perfumer, and remain their intellectual property. All interview questions remain the intellectual property of Perfume Polytechnic. Please do not reproduce interviews or images without permission.